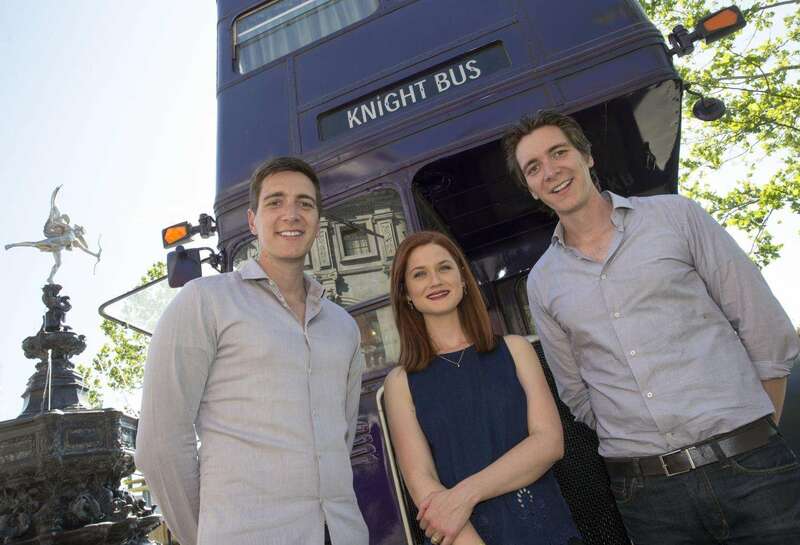 James Phelps, Oliver Phelps, & Bonnie Wright (Fred, George, & Ginny Weasley) were in Orlando yesterday touring the new Harry Potter expansion at Universal Studios. The group took a ride on the Hogwarts Express from Hogsmeade Station to King’s Cross Station. From there, they toured all the shops at Diagon Alley. They especially liked Weasley’s Wizard Wheezes! The group got a look at Gringott’s Bank as well as some of the scenery elements including an authentic red British telephone booth. After a meal at The Leaky Cauldron for some traditional British food, it was time for some butterbeer ice cream from Florean Fortescue’s Ice-Cream Parlour. I know the writers are excited about the new Potter themed land! I hope you are too! Let us know what you think! What are you the most excited for? Previous Post Summer Saturday Nights to begin June 7th at Brevard Zoo!